This image was made at Mwnt from almost exactly the same spot as a B&W image in the landscape gallery, but more than a year later. to get this angle of Eglwys Y Grog, the chapel in the picture, involves a walk of about a mile along a challenging stretch of the coastal path. 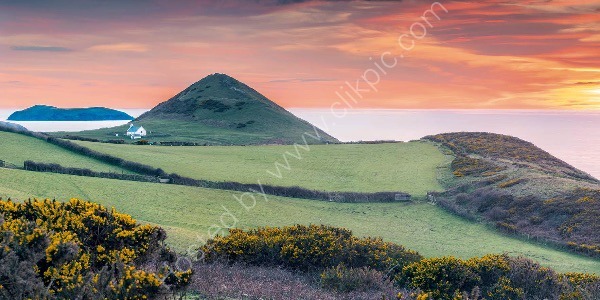 Although Mwnt has been photographed to death, very rarely from this angle. Having taken the B&W image, I had a hankering to take a very different photo from the same spot, with a vibrant sunset. After a couple of abortive attempts where I made the exhausting walk, laden down with gear, without even getting the camera out of the bag, I was rewarded with this sunset fro my efforts.